Article origins: On September 11, and again on September 28, Spectrum published articles by D. Stuart Letham and Col J. Gibson on ice cores and the lessons they might hold for Adventist understanding of the several perspectives on Creation held by members within the Church. Acknowledging that the present “official position” is probably Young-Earth Creationism they opted instead for a viewpoint that has been described as Old-Earth, Young Life Creationism, or as they phrased it, Old-Earth, Recent Creation. We wish to respond to the original authors and to their discussants with observations directed not toward either of these two positions but to the assumptions that undergirded the discussion. Young-Earth Creationism (YEC) vs Old-Earth Young-Life Creationism (YLC). When the translators selected “earth” (for the Hebrew ’erets) they fully intended it to mean “Planet Earth” (not some lesser entity such as “land”), and that such an intention was legitimate. Few would pay any attention to a discussion pitting the Young-Land Creationist viewpoint against Old-Land, Young-Life creationist position. We begin this exploration of Hebrew word meanings by identifying our position. We think that the original audience could not have conceived of “Planet Earth” for the straightforward reason that nobody could at that time and place. It would be more than 2,000 years into the future (after Copernicus and Galileo) before any listening audience interested in such matters would be able to conceive of a planet, such as Earth, circling the sun. In the discussion that follows (a slightly edited version of a handout provided to the studio audience participating in a recently video-taped presentation “Earth,” “Land” and Other Words; Why the Translation of ’erets Looms So Large, which can be accessed at ToBeginWithGod.com. ), we enlist the aid of two imaginary characters because it helps in the complicated task of exploring what “they” thought then versus what “we” think now. Moshe is our imaginary, paradigmatic, early, Old Testament Hebrew. Moshe’s modern-day counterpart (also imaginary) is Ian Michael O’Dern (I’M odern). To Ian Michael the words, “earth, “world,” “land,” and “country” are quite different. With “earth” he almost certainly envisions a rotating sphere—Planet Earth—in relationship to other planets and the sun…all of them spheres. With “world” he may picture something similar. On the other hand, “land” and “country” are virtually never visually or conceptually attached to the solar system. They are not spherical nor do they rotate. These English words are clearly less imposing (less important?) and denote a much more limited reality. How can it be that the English words “earth” and “world,” “land” and country” words that produce such different images in our minds can all express the meaning of the same Hebrew word? As a translator works—“carrying across” the meaning of the source language (Hebrew) into the target language (English)—his/her mental picture of what is expressed in the source language will influence the choice of words in the target language. For this reason, whatever Ian Michael pictures when reading a Bible version in English is going to be similar to the picture the translator had upon reading the underlying Hebrew. Hopefully, ’erets, when translated, conveys the same mental picture that existed in the minds of the original author and his audience—Moshe and his kinsmen. If the translator believed the original author and audience pictured Planet Earth coming into existence during a period of six Creation Days, or Planet Earth in the throes of a Flood of “Biblical proportions,” then he/she will render ’erets as “earth.” So, is “earth” the correct rendering of the Hebrew ’erets, or would it be better translated as “land”? The answer, of course, depends on what Moshe pictured when reading or hearing ’erets; that is the way ’erets should be translated. The Genesis text was addressed to Moshe and it is his mental picture—his understanding (not the translator’s)—that ought to determine the meaning of the text. In Shakespeare’s England, which was also the England of the King James Version, “earth” most often meant dirt or soil and rarely, if ever, did it connote the entire “world” which by then was known to be spherical in shape (although the sun was still thought to travel around it). 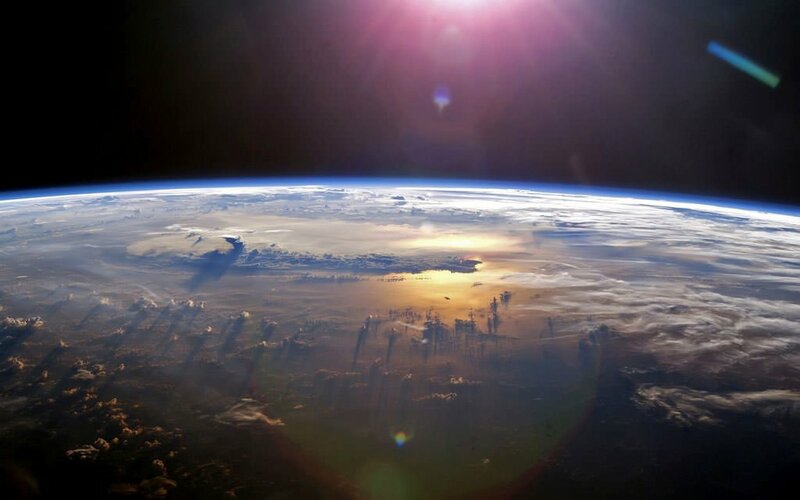 Today “earth” is virtually synonymous with Planet Earth circling the sun. This is so because lunar missions beginning in the 1950s have enabled Ian Michael to see his home planet as it appears when viewed from outer space. So for him, “earth” in a cosmological context such as Genesis 1, almost inevitably means Planet Earth. For Moshe that was impossible, for the obvious reason that for him the ’erets was fixed and certainly did not travel around the sun held in its orbit by gravity. On the contrary, ’erets could never be moved; God said so (1 Chronicles 16:30, Ps. 104:5). From Creation to the end of Genesis chapter 11, the translators of the King James Version decided that 88% of the time (84/95) that 'erets meant “earth” In the rest of Genesis they decided that ’erets meant “land” 88% of the time (162/183). This is clearly not a random happening. This complete about-face from “earth” to “land” underscores the influence of translator judgment on what our Bible says. Before the Flood, Moshe was informed that God was going to “make it rain upon the land (’erets) for forty days and forty nights” and would “blot out every living thing ... from the face of the soil” (adamah) (Gen 7:4). On reading Genesis now, Ian Michael may well picture God promising to “...make it rain upon the entire planetary globe (’erets) for forty days and forty nights” and to “blot out all existing things ...from the face of the soil” (adamah). After the Flood, Moshe understood that God had indeed “blotted out every living thing that was on the face of the soil (adamah)...They were blotted out from the land (’erets) (Genesis 7:23). For Ian Michael reading Genesis now, God “blotted out every living thing that was on the face of the soil (adamah)...They were blotted out from the planetary globe (’erets). Given that both of these texts link “face of the soil” (adamah) with ’erets, we are convinced that translating ’erets as “earth” is now linguistically in error. It is indeed misleading. A translation that invites the reader to link a “planetary globe” (’erets) with “the face of the soil” (adamah) is certainly incorrect (where “correct” is what Moshe would have understood by ’erets). Dr. Brian Bull is a professor of Pathology and Human Anatomy at the Loma Linda University School of Medicine. Dr. Fritz Guy is Ph.D. coordinator and professor of history of philosophy, philosophy of religion, ethics and philosophy of time at La Sierra University. Bull and Guy have co-authored several books and papers on Genesis and Creation.